Air Canada has confirmed the incident. “There are twelve one-inch (2.5 cm) bolts on a ‘prop spinner’ on this particular type of aircraft (Dash 8 #300),” a spokes person told. “While on descent into Vancouver on Nov. 25/14, (from Penticton, BC) flight #8353 had one of those twelve one-inch (2.5 cm) bolts come loose and strike one of the aircraft windows. 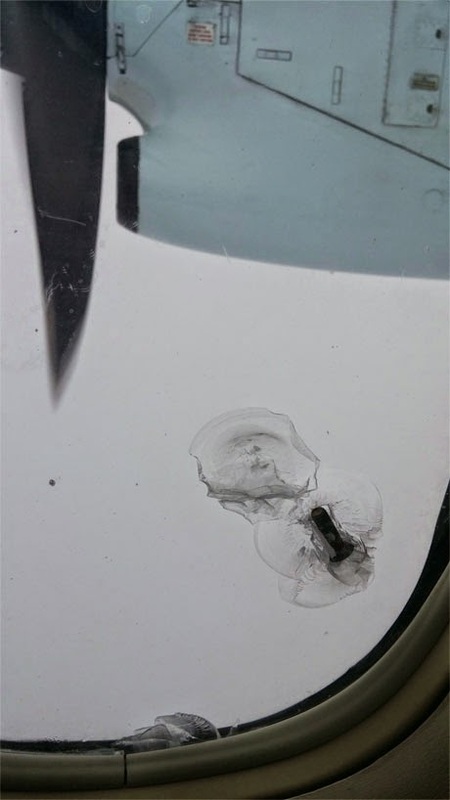 The bolt struck the exterior pane (of two acrylic window panes) which resulted in a small hole in the exterior window pane – the interior pane was not impacted.